Ballingham Bridge (also known as Fawley viaduct) runs north from Fawley Tunnel towards Ballingham station. 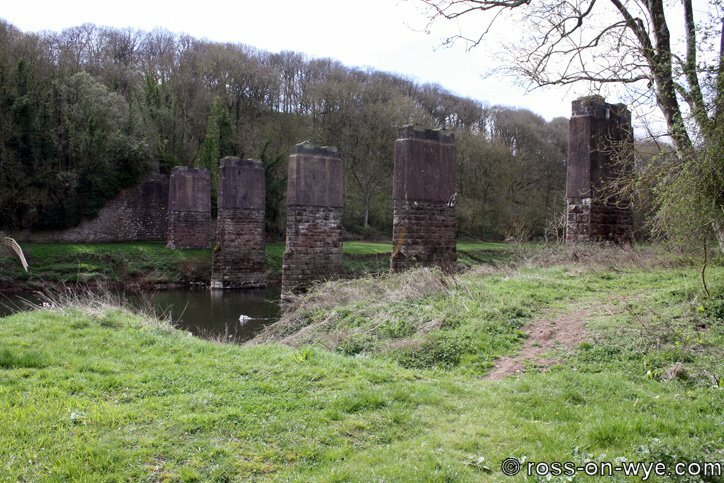 The only remains are the piers as seen in the photos. 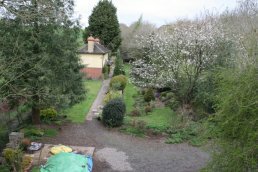 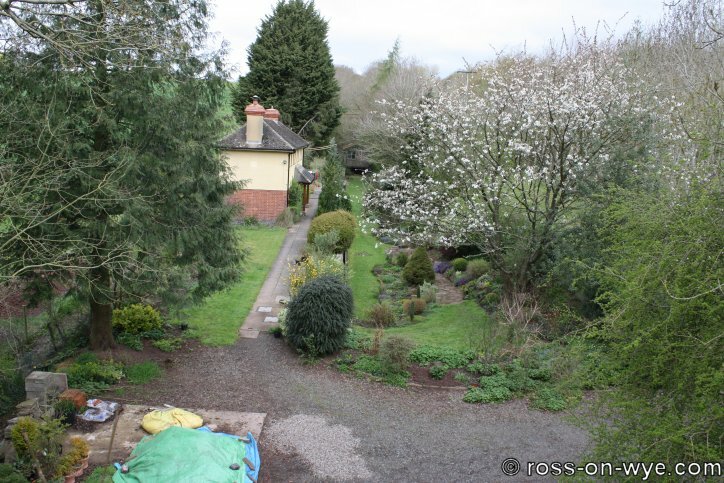 Ballingham Station has been rebuilt as a private house (dated as 1973) but it can be seen that the platform still exists. 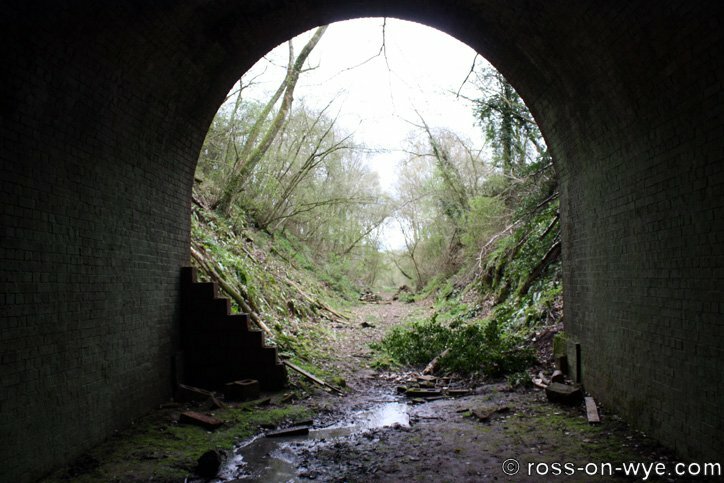 Holme Lacy and Fawley were the originally the only stations between Ross and Hereford; Ballingham and Backney Halt were later additions. 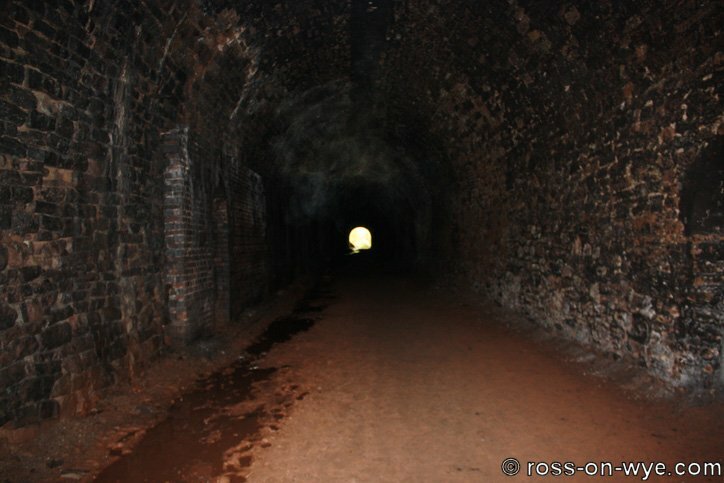 The causeway and track bed are clearly visible when looking south from the road bridge that is just below the station. 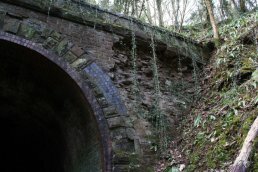 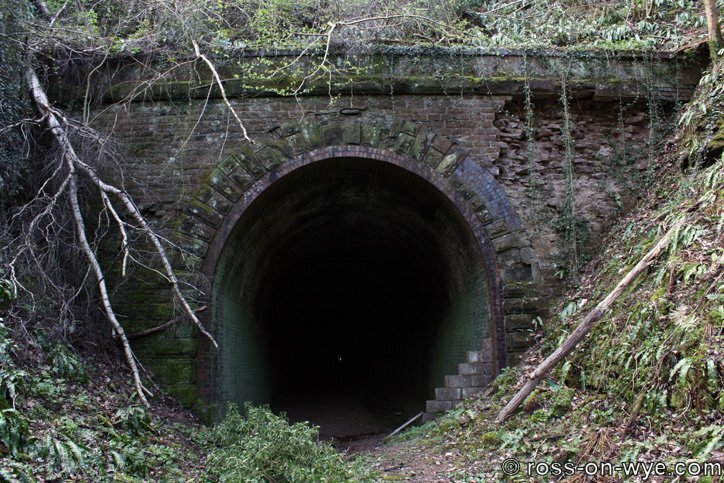 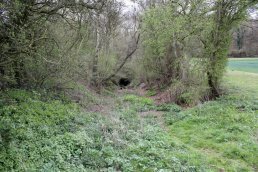 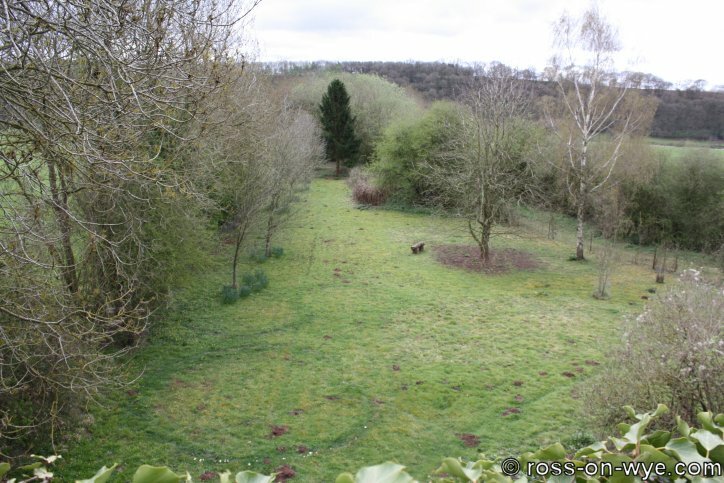 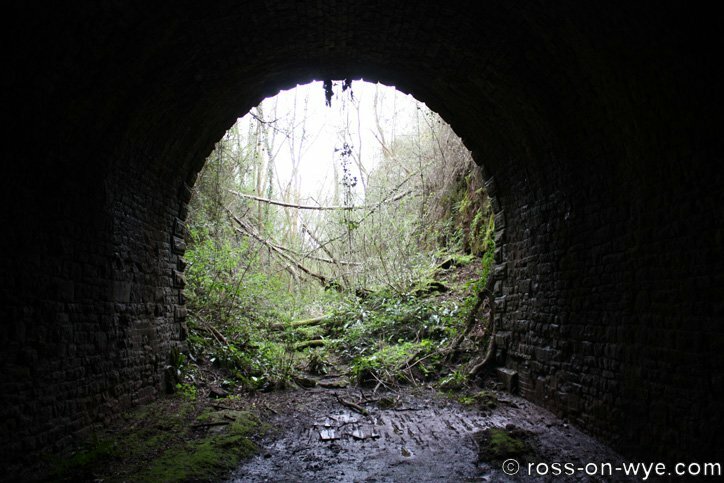 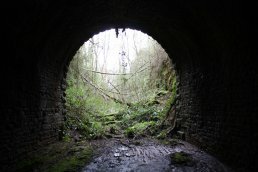 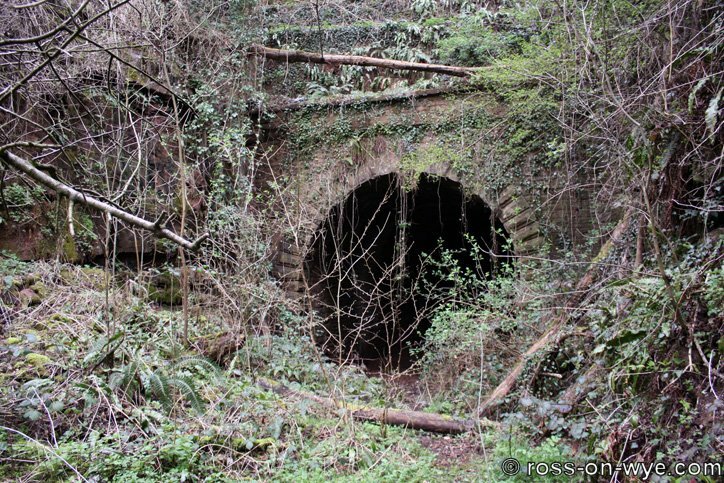 Ballingham Tunnel is 1208 yards long and is the region's longest (32nd longest disused tunnel in the UK). The tunnel is straight except for a slight turn to the east close to the southern end. 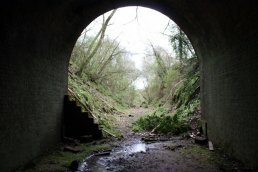 The north end of the tunnel is not too difficult to access and the cutting has been cleared making it even easier to get to. 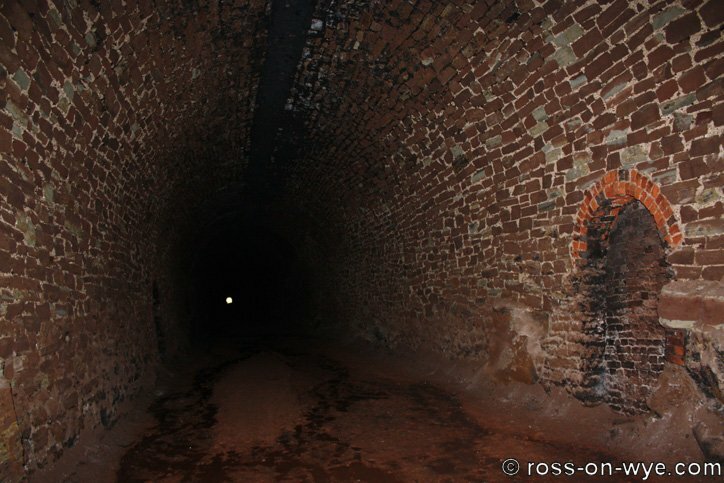 The tunnel mouth is completely open. 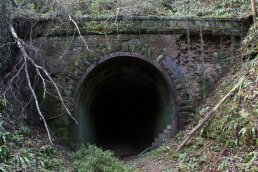 The face of the tunnel mouth has started to deteriorate and has begun to collapse. 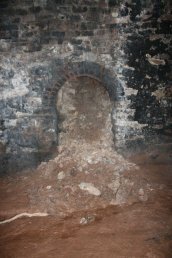 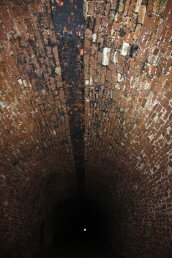 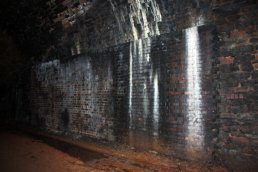 The mouth is stone faced but the bricks show clear signs that there have been significant repairs made when the tunnel was in service. 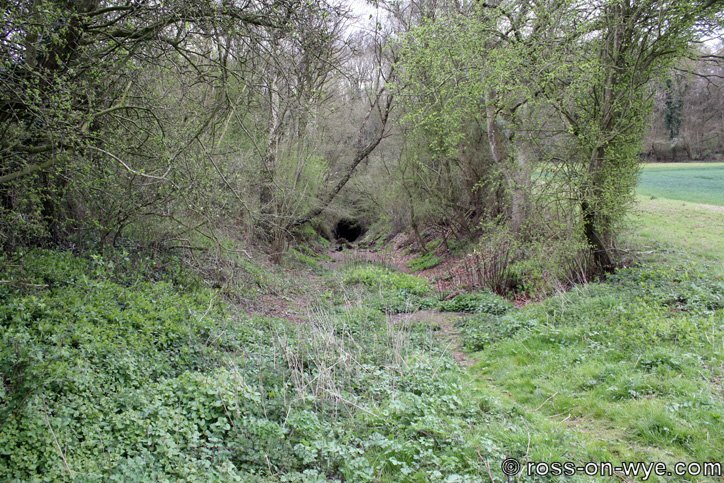 The view looking north up the cutting is an impressive view. 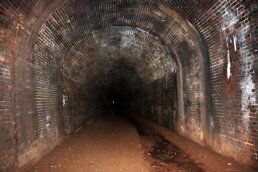 Looking south it is clear to see that there is a brick liner to the tunnel at this point. 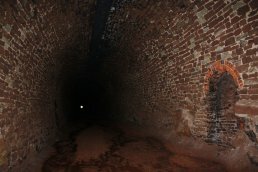 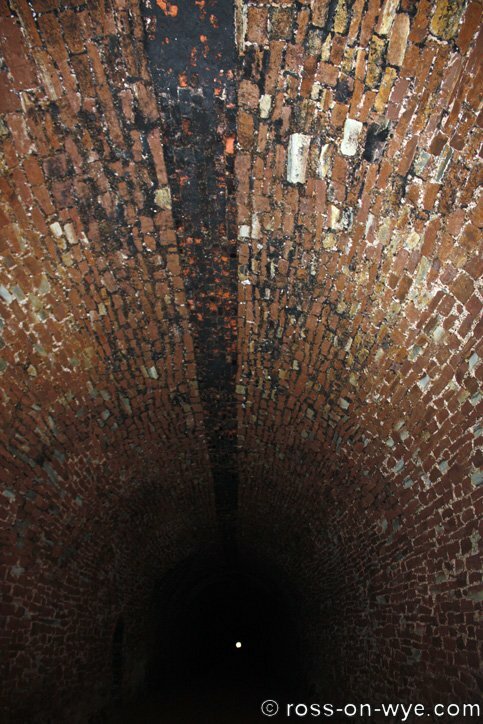 The brick liner does not extend that far into the tunnel and is in a good condition. 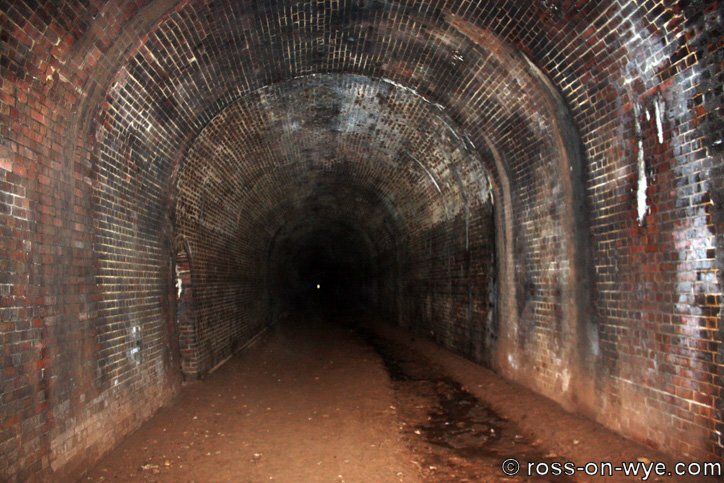 The rest of the tunnel is lined with what looks like local sandstone. 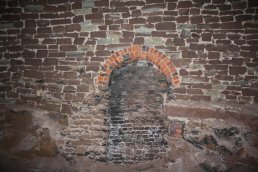 At a number of points at the north end some brick reinforcements have been added to the tunnel walls. 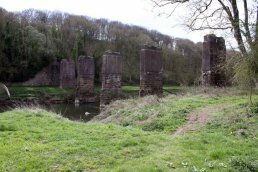 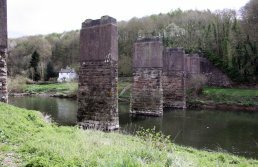 These are substantial structures and are also in good condition. 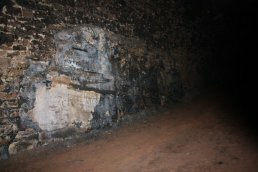 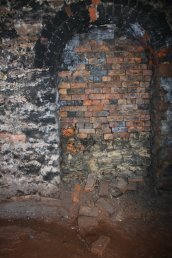 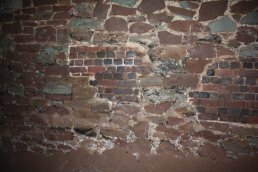 The walls of the tunnel have a number of brick patches in them that were made either during the building or when in service. The roof of the tunnel has the usual brick strip used to reinforce the centre. 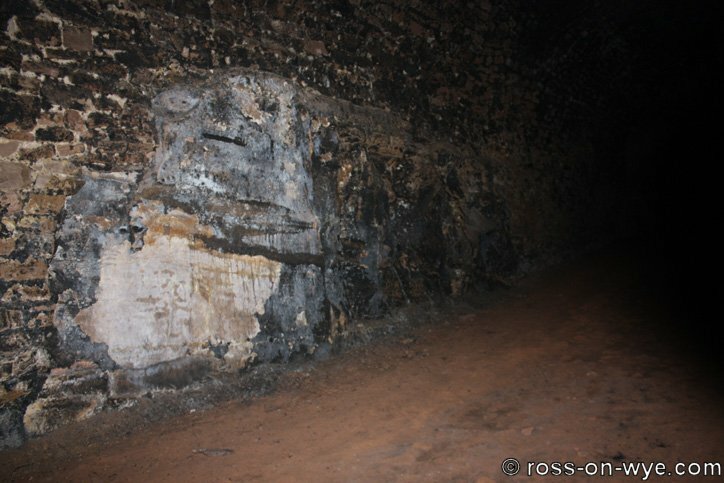 The tunnel is not fully stone lined as the builders have clearly has to work with particularly large intrusions of harder bedrock and have built these into the walls. 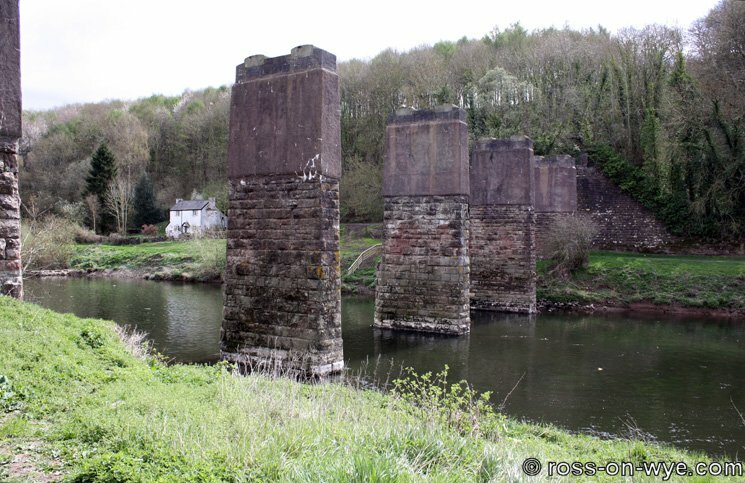 All of the refuges are of a similar design with a red brick caps. 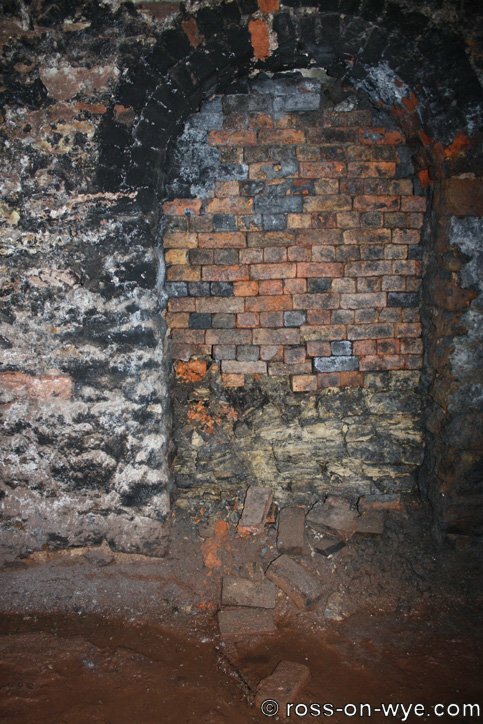 Some are brick lined, some are stone lined and others are cut straight into the bedrock. 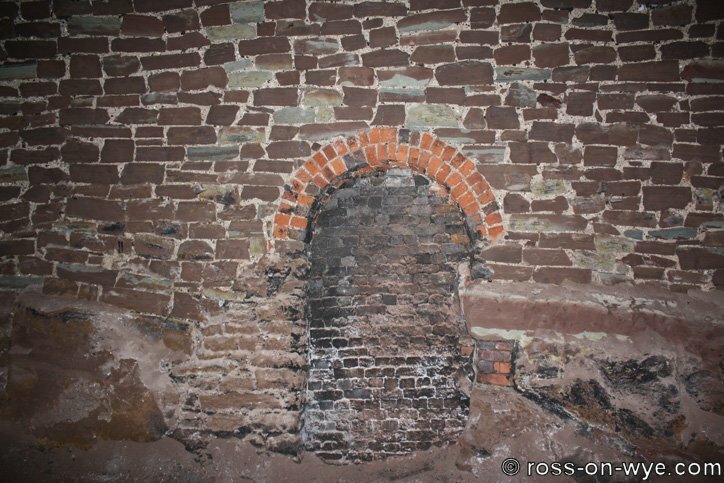 This one has used both brick and bedrock as part of its surround. 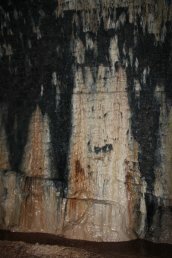 There are a number of small collapses in the refuges. 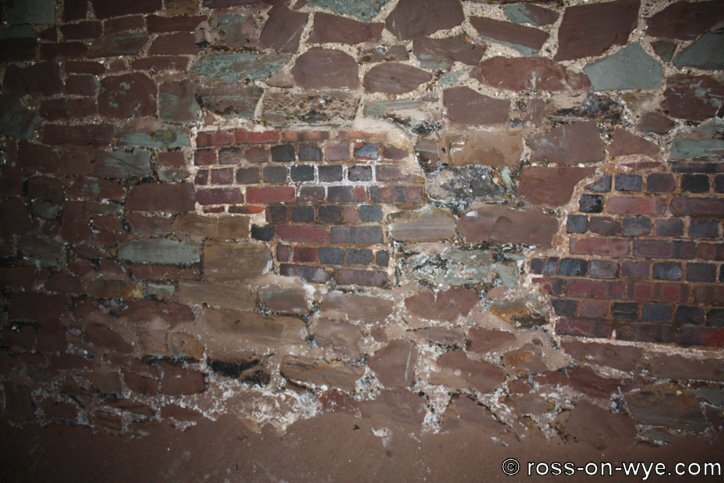 These photos show that the bricks in this refuge have begun to push out and another refuge the red and green marl has flowed out into the tunnel. 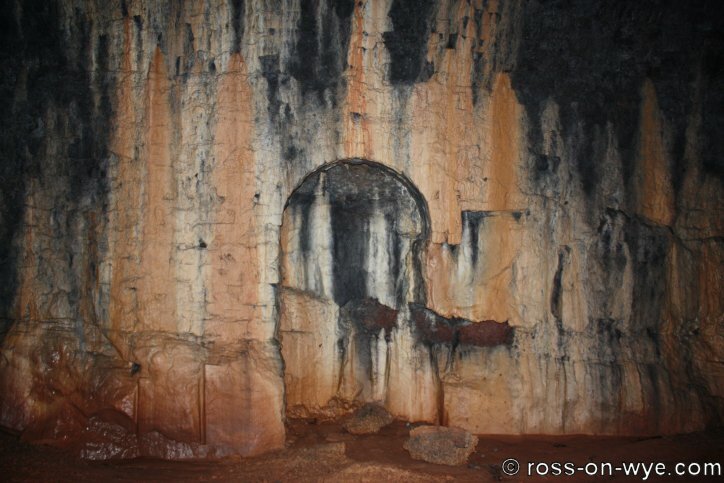 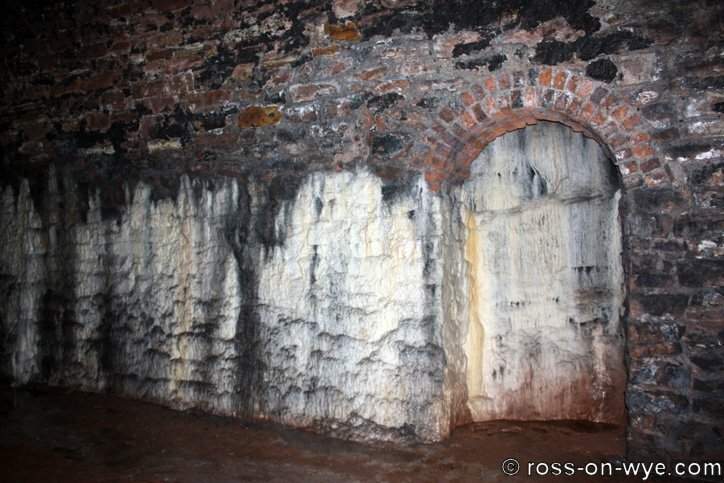 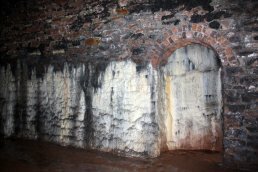 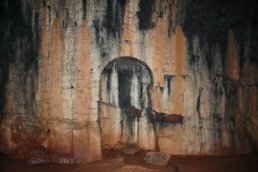 There are a number of places where water is seeping into the tunnel, predominantly near to the tunnel mouths and some calcite deposits have formed on the walls. 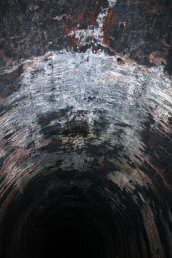 The roof has a few small stalactites but overall the water ingress is appears to be relatively low and there is not a large amount of hanging water on the floor of the tunnel or significant gullies where water has run. 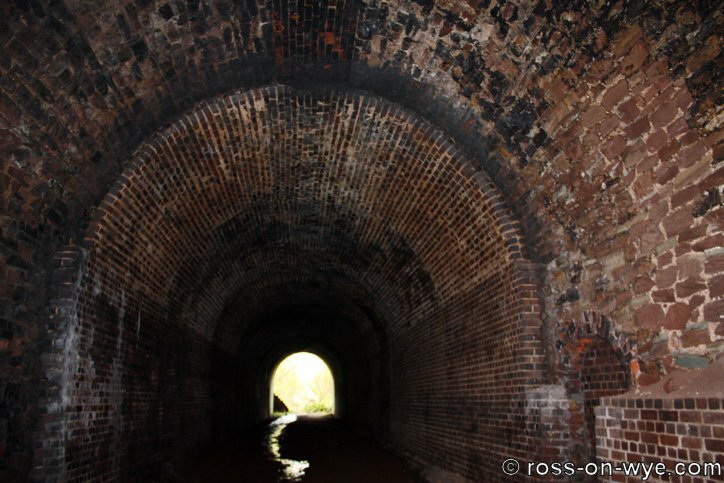 When looking out the south tunnel mouth it is clear that the cutting is in a poor condition at this end. 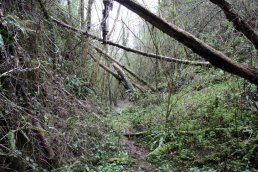 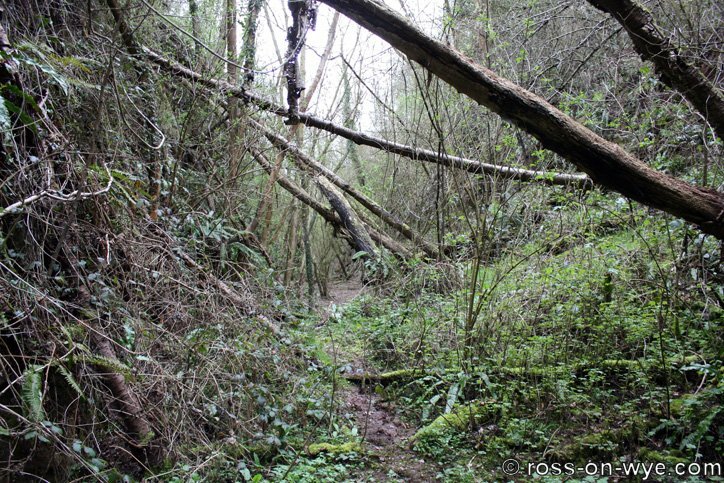 There have been a number of collapses and landslides into the cutting and it is very overgrown. The south tunnel mouth is in good condition and shows no sign of deterioration or previous repairs. 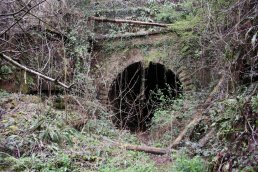 It also appears to be more ornate than the northern tunnel mouth. The southern end is stone lined from the mouth inwards and no brick liner or reinforcements have been used. 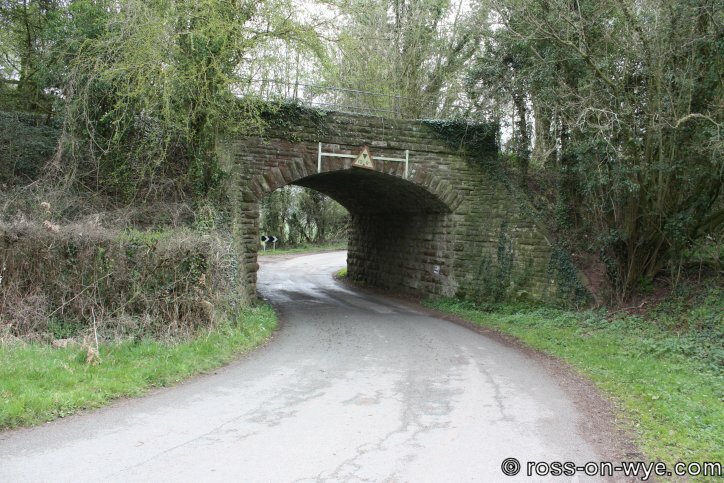 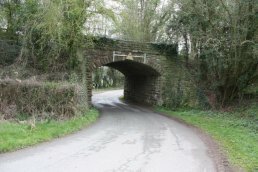 Just to the north of the tunnel is this bridge over the road (GCT 138M-16). 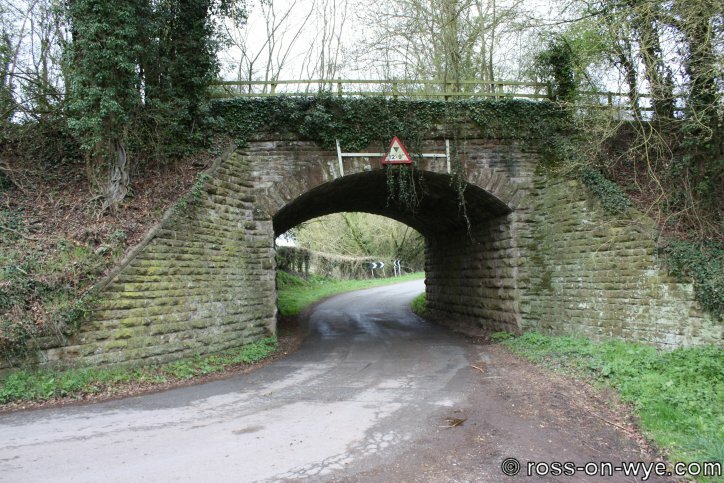 The bridge is well maintained and gives a 12' 9" clearance for the vehicles to pass beneath.